The Aussie pulled off one of the greatest upsets in US Open history as he needed four sets to beat the former five-time champion. If you attended the night session at the US Open in Arthur Ashe Stadium, you were in for a treat. The night started with Carla Suarez Navarro ending Maria Sharapova's 23-match win streak in night matches. It finished with something many didn't expect, second-seeded Roger Federer being pushed to the limit against John Millman. What Millman threw was more than a push, it was major blows as the Aussie stunned the second seed 3-6, 7-5, 7-6(7), 7-6(3). He will meet Novak Djokovic in the quarterfinals. Federer got out to a flyer of a start in what many expected to be a one-sided match. He broke at love in Millman's opening service game as he was already mixing up the pace and causing trouble for the Australian. The Swiss was having no trouble early in this match, dropping a sole point on his first serve in his five service games. 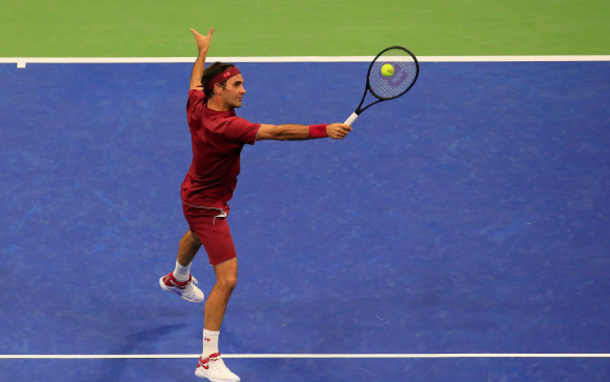 Both men held serve the rest of the way as Federer cruised to an opening 6-3 set. The 29-year-old thought he had blown his chances in Federer's opening service game. The Swiss was made to work for that hold with that game going 14-minutes long and saving six break points. Federer broke in the fifth game and consolidated, but even then, the Aussie was still playing well with an even 16 winners and 16 unforced errors at this point. Millman's effort to apply scoreboard pressure by holding serve was valiant, but it looked to be that it wasn't enough after Federer got out to a 40-15 at 5-4. Two deep returns down double set point put Millman back in the game. Federer gave the break right back after missing an easy forehand volley and a double-fault, his sixth, put the 29-year-old right back in the set. The heart of a fighting Aussie was prevalent once again under the lights, just two nights after Alex De Minaur fought until the bitter end against Marin Cilic. Millman captured his first lead of the set at 6-5 and stunned Federer as an unforced error, one of 22 in the set, leveled the match at one-set all. Whether it be Millman going shot for shot on the ground with Federer or just mistakes from the Swiss maestro himself, the second seed was struggling with unforced errors and oddly mistimed shots which resulted in shanks and misses. The first serve of Federer was off as well, but he always found a way to hold serve. Millman had no trouble on serve at all in this set, dropping six points total as a server as this set headed into a tiebreak. The five-time champion looked in control, getting up the early mini-break at 3-1. He gave it right back though, dropping two straight service points to go down 3-4 only for the server to drop a third straight point as it went to 4-4. Each player held set point, but it was as a returner as one of them hoped the other would blink first. It turned out that Federer would indeed blink first, dropping his serve to give Millman an 8-7 lead, and the Aussie took his opportunity to move with a set of a stunner. Federer was pulling out the drop shot often in this match, and that theme continued in the opening service game of the set. The two traded holds as Federer finally got a 0-40 opening in the sixth game and even heard his first "Chum jetze" of the match after Millman knocked a forehand long. The break for a 4-2 lead came as Millman missed a forehand into the net as Federer and the Arthur Ashe crowd roared as they were ready for a potential fifth set. Down 0-30 trying to consolidate the break, the Swiss brought out the old school serve-and-volley to the get him back ahead. Another serve-and-volley came out to get him to advantage, but he could not close out the game missing an overhead. Millman's forehand down the line was just a thing of beauty all night for the Australian, hitting another forehand pass to get him a break point opportunity. The Swiss missed a forehand long as it went back on serve at 3-4. A couple of few comfortable service holds is what was needed, but the Swiss found himself down 0-30 in the 11th game but held as both men battled for a tiebreak. Two double-faults from Federer, his ninth and tenth respectively, gave the mini-breaks to Millman as the Australian began to feel that this victory was in his reach. 5-1 to the Aussie on the change after the Swiss hit another unforced error off the backhand side into the net. Federer just didn't look himself since being unable to close out the second set. Another missed forehand gave the Aussie a handful of match points. 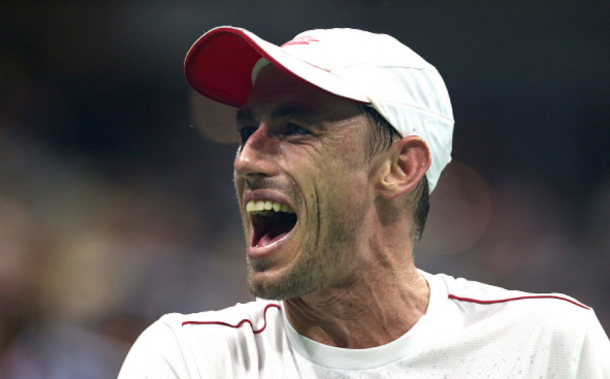 The five-time champion did his bit by holding for 3-6, but Millman's brilliant ground game made Federer quite uncomfortable as he hit another ball long to cap off one of the greatest upsets in US Open history.